The Edison Electric Institute, the power industry’s main trade group, is calling on utilities to better promote electric cars in order to stimulate demand for electricity and help reverse trends that threaten the long-term viability of some in the industry. Without a strategy to help connect more vehicles to the grid, utilities will continue to face slow growth and stagnant revenues, warns EEI in a new report. The organization calls electric vehicles a “quadruple win” for power companies looking to boost demand, find new ways to interact with customers, support environmental goals and mandates, and reduce operating costs through electrifying their own fleets. “The bottom line is that the electric utility industry needs the electrification of the transportation sector to remain viable and sustainable in the long term,” conclude the authors. Some leading investor-owned utilities have rolled out programs to support charging stations, created pilots to test integration of new vehicle-to-grid technologies and have supported studies to model how lots of electric vehicles would interact with the distribution system. But there hasn’t yet been a strategic, industry-wide effort to support the electrification of transportation as a way to boost demand. To understand why EEI is now calling for more electric vehicles, consider where the industry is headed. As the chart below illustrates, growth in retail demand has come to a virtual standstill. At the same time, the states with the biggest solar PV markets are seeing that technology slow electricity demand growth even further. This is adding additional pressure on utilities (creating borderline disruption in some markets), as third-party developers capture much of the value from developing solar. Part of the answer is electric vehicles, which could both grow electricity sales and help balance a future grid made up of much more distributed renewables. Thus far, utilities have had a conflicted relationship with electric vehicles. Although sales continue to grow, consumer demand has been relatively low compared to initial estimates. That has prevented power companies from investing heavily in charging infrastructure. There are also legitimate concerns about how electric cars and trucks will impact circuits on local grids. However, the potential upside is enormous. If the two charts above have utilities worried, the chart below should have them excited about the future. As Opower pointed out in a recent analysis, owners of electric cars use nearly 60 percent more electricity than the average customer. And customers who own both a solar system and an electric car consume roughly the same amount of electricity from the grid as an average customer — offsetting much of the excess solar that utilities must buy back through net metering. If that’s not enough to get utilities thinking more strategically about electric cars, they should consider the technology’s influence on consumer behavior. According to data compiled by a utility member of EEI, consumers view their local power provider as the second-most trustworthy source of information about electric vehicles, just behind consumer reports. 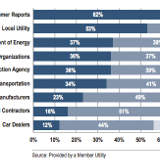 Utilities have double the credibility that auto manufacturers and dealers do with consumers. And a 2010 study from the Electric Power Research Institute found that two-thirds of consumers wanted their utility to provide information on charging station locations and pricing. As the authority on electricity services, utilities have a unique opportunity to steer consumer adoption of EV technology. In its report, EEI proposes that utilities boost rebate programs for residential and commercial customers, set up new information services for charging infrastructure, create new rate structures for charging, cultivate deeper relationships with auto manufacturers, and purchase more electric vehicles for their own use. The organization is calling on its members to invest 5 percent of their annual fleet purchases in plug-in vehicles to set an example. “By developing our expertise in vehicle electrification now, we are more likely to be able to dictate our own compliance path,” writes EEI. Last week, contributor Elias Hinckley wrote a piece for GTM that pondered why utilities have done so little to promote electric cars. He proposed some similar ideas, including the creation of financing options for home-charging stations or partnerships between utilities and manufacturers to develop lending services that could be integrated into a customer’s bill. Electric vehicles are not yet a significant part of the grid mix. And until utilities figure out how to use their expertise to build demand, they likely won’t be for a long time to come. That, argues EEI, wouldn’t be just a simple missed business opportunity — it could be a deciding factor in the profitability of utilities as they enter an era of declining electricity demand. Greentech Media (GTM) produces industry-leading news, research, and conferences in the business-to-business greentech market. Our coverage areas include solar, smart grid, energy efficiency, wind, and other non-incumbent energy markets. For more information, visit: greentechmedia.com , follow us on twitter: @greentechmedia, or like us on Facebook: facebook.com/greentechmedia. Thank Stephen for the Post! Stephen, as challenging is it is for renewables to gain a foothold in current utility generation, their share will be even less when EV adoption is widespread (most EV charging occurs at night, when solar generation is conspicuously unavailable). In the past you’ve taken it upon yourself to cheerlead the utility “death spiral”. Does that place GTM solidly in the anti-EV camp? It is relatively inexpensive to install charging stations at places of work. I am sure it would be viewed as a perk in places such as Silicon Valley. 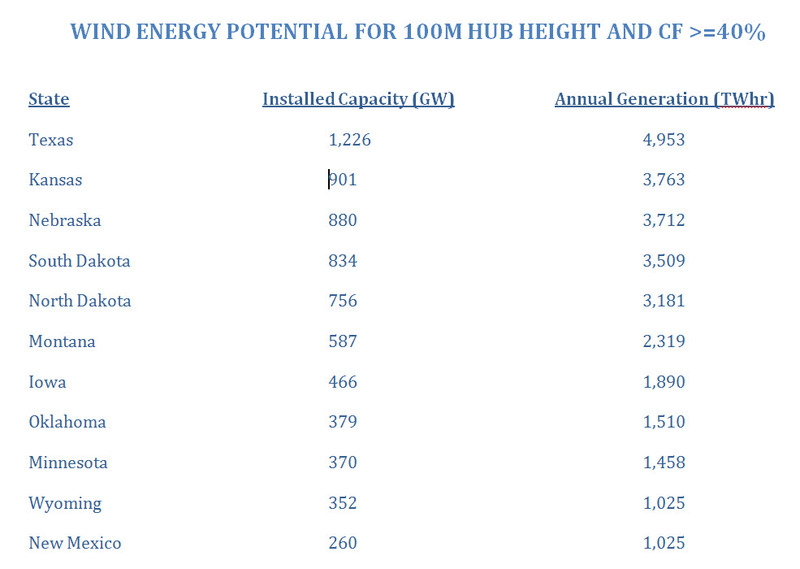 These sites would benefit from daytime peaking of solar. 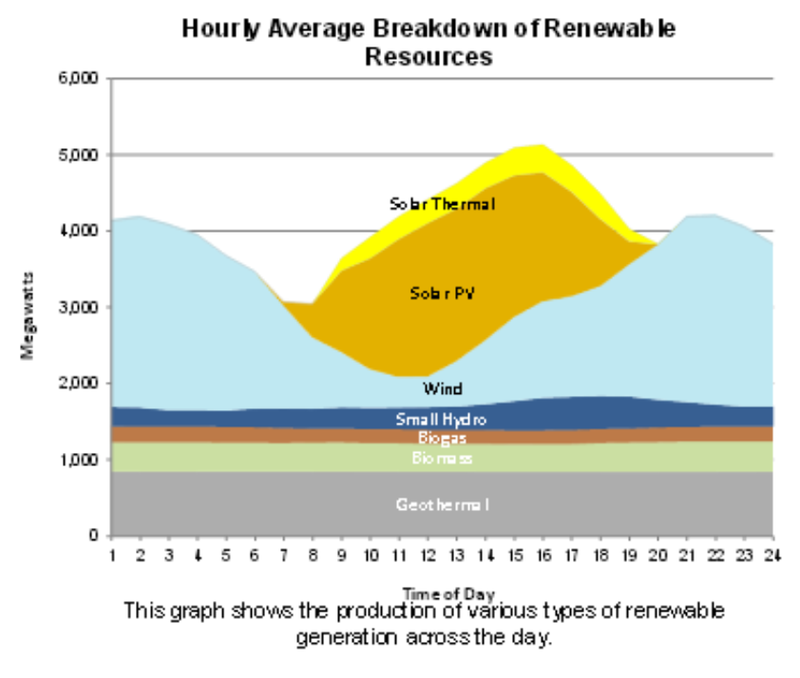 However, wind power in CA is sizable at night during the peak demand summer months. It would be a great resource for night time charging. Also, if time of use metering is adopted, people can set their cars to charge at times of low demand or high production. There is also a good deal of experimentation being done with utilities providing signals so that cars can arbitrage charging to be most helpful to the utility. Renewables combined with EVs are naturally symbiotic to a modern grid. Solar provides charging while people are at work. In many areas, such as Texas and California, wind peaks at night. Texas, with the largest wind resource in the country, has had challenges with this off peak generation. EVs charging at night would make great use of the night peaking wind resource. CA also sees much of its wind power at night. And yes, with wind and solar continuing to drop in price, utilities that look back instead of forward will be marginalized. New analysis from McKinsey paints a slightly distressing picture of a future scenario with increased EV penetration and how all that charging will impact the grid. According to their data, growth in EVs will likely cause minimal increase to..
Are Silicon Valley Business Models Key to European Energy Companies’ Survival? Competition in the European energy market has intensified, according to Navigant Research. In 2013, 20 energy companies served the United Kingdom; that number swelled to 73 in June 2018. Many of these firms are searching for viable, long term..
Lots of Recent Electric Vehicle News: Is 2019 Their Big Year? 2019 set to be the best year yet for the EV market-- are you ready as a consumer? As an energy supplier? Energy Management in 2019: Which trends will be revealed as fads and which will turn into long-term solutions? Storage, smart home products, blockchain. These are some of the buzzwords of the energy management community, but which will actually make a difference in 2019?